The Korin Black Project® is a charitable organization that aims to inspire, support and empower young girls and women to become poised and confident leaders in their personal lives and communities. 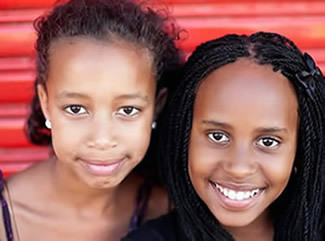 We prepare girls for womanhood by providing image based programs that focus on self-development and address issues of self-esteem, confidence and fear of accomplishment. We aim to direct our girls down a path of self-discovery and lay the foundation for a successful transition from a young girl to a confident woman. Founded in 2010, the KBP® is a grassroots organization that delivers programming to adolescent girls and young women in the Chicago and Greater Chicago-land areas. Confidence is not one thing, it's Everything™.